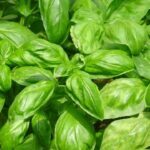 Whether you have just picked up your first basil plant at the nursery or have been growing herbs for years, there’s something coming for you in the Herb ‘n Academy. Ann can help you up your gardening game with her new class, “Homegrown Herb Garden,” based on her book by the same name. Click below to get the details.